— On March 2, 2014, as Russian troops in unmarked uniforms consolidated their grip on Crimea, Yevhen Fedchenko anxiously searched the Internet for fresh news. Browsing through social media, he was struck by the lack of information about the events unfolding in Crimea, which ultimately led to Russia’s illegal annexation of the peninsula two weeks later. What he also noticed was a barrage of fake stories about Crimea in Russian media outlets. Fedchenko, the dean of the journalism faculty at Ukraine’s prestigious Kyiv-Mohyla Academy, reached out to his colleagues and students. A hastily formed group sat down to share their concerns about what they identified as the onset of a large-scale Russian disinformation campaign targeting Ukraine. A few hours later, StopFake, the first initiative to directly tackle and debunk Russian disinformation, was born. Three years on, StopFake has become the go-to resource to learn about Russian disinformation tactics in Ukraine. From a volunteer initiative, it has grown into a full-fledged media outlet employing 30 journalists across Europe. Its website is available in 11 languages, it broadcasts a weekly radio show, co-publishes a newspaper in areas of eastern Ukraine controlled by pro-Russian separatists, and its flagship television show is carried by as many as 30 Ukrainian television channels. The group, however, doesn’t have an actual office. The Kyiv-Mohyla Academy provides the basement television studio for StopFake’s weekly shows. Otherwise, due to limited resources — it is funded exclusively by grants and donations – StopFake operates what Fedchenko calls a “virtual newsroom” on Facebook. In all other respects, StopFake functions like a traditional investigative journalism outlet. Every day, its researchers scour Russian-language media for suspicious stories and meticulously check each of them for signs of foul play. StopFake journalists also use special fact-checking software to verify the authenticity of photographs and videos. Since its creation, the group has debunked hundreds of disinformation stories. One of the very first fakes it helped expose was a Russian television report claiming that Ukrainians were fleeing to Russia en masse before the conflict even broke out in the country’s east. The video used in the report was unrelated footage showing vehicles queuing up at Ukraine’s border with Poland. Among the many Russian disinformation stories debunked by StopFake, one falsely reported that then-U.S. President Barack Obama had banned balalaikas in the United States. Another one made up an organ-trafficking scandal in which French authorities were said to have seized a huge illegal shipment of organs from Ukraine. Then there was the story of the 3-year-old boy allegedly crucified by Ukrainian troops in the country’s east. While the story has since been debunked many times, Fedchenko believes such fake reports have played a key role in drumming up Russian public support for the armed conflict in eastern Ukraine. According to him, the fake crucifixion story also served to demoralise Ukrainians and undermine their trust in the country’s army. 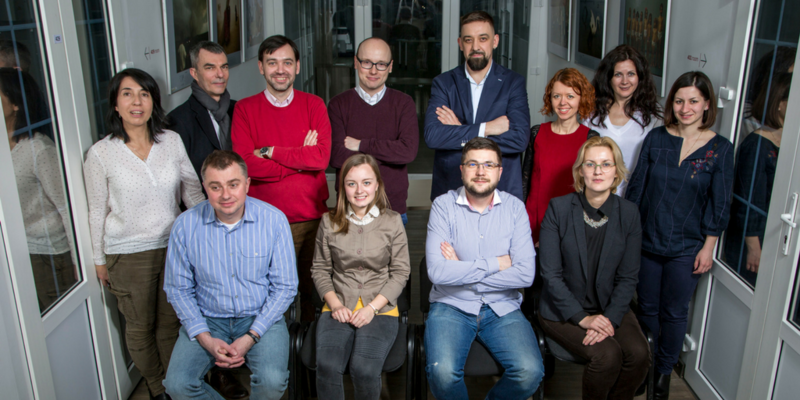 With their reputation as top myth-busting experts now firmly established, Fedchenko and his colleagues are moving beyond simply debunking fake news. 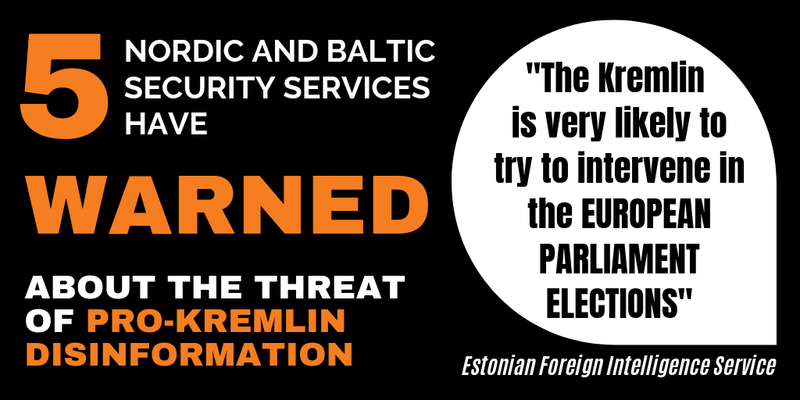 StopFake is now invited to give media literacy workshops all over Europe, teaching politicians, army staff, intelligence officials, journalists, and students how to identify and expose Russian disinformation. 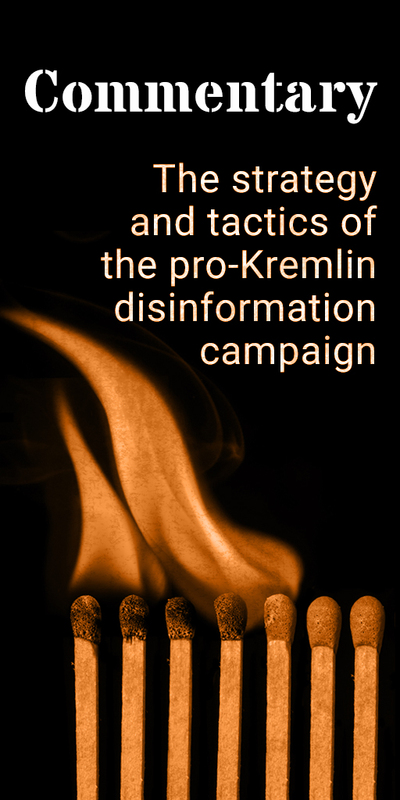 The group also publishes research papers on disinformation, produces textbooks for universities, and conducts opinion polls to assess the impact of disinformation. 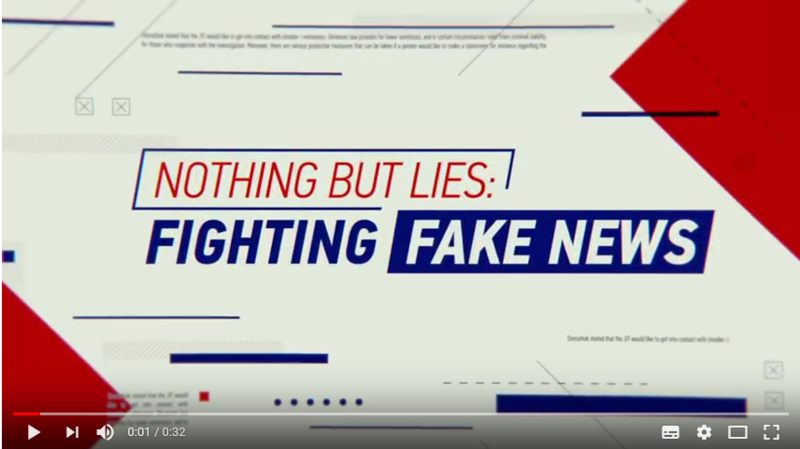 Earlier this year, StopFake issued “Nothing But Lies,” a documentary analysing disinformation as a phenomenon and explaining its impact.